Burgess Hill based Personal Counsellor/Life Coach Virginia Nicholls wanted a simple website, clean and neat, simple to maintain and that would utilise the existing artwork she had made for her leaflets. 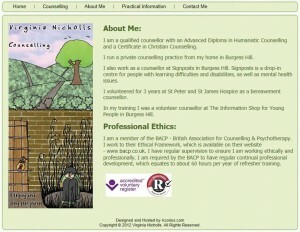 The website took only a short time to build, a simple template, utilising CSS. Hosted on our own servers in Docklands, we also provide mailbox and forwarding service. 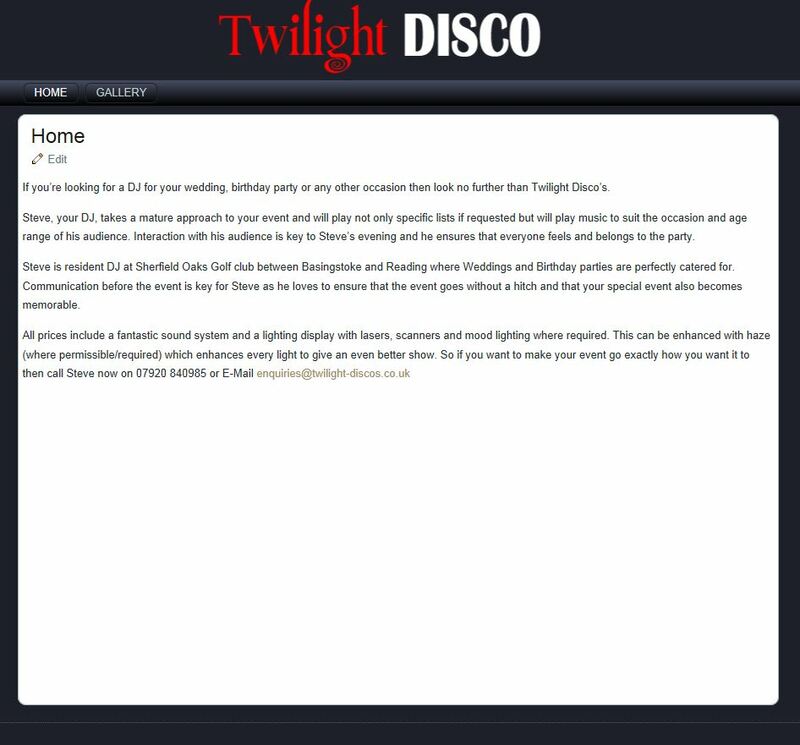 Virginia maintains the website herself, adding content as and when required. Cost: £100 + VAT including Domain Registration and a Years Hosting. 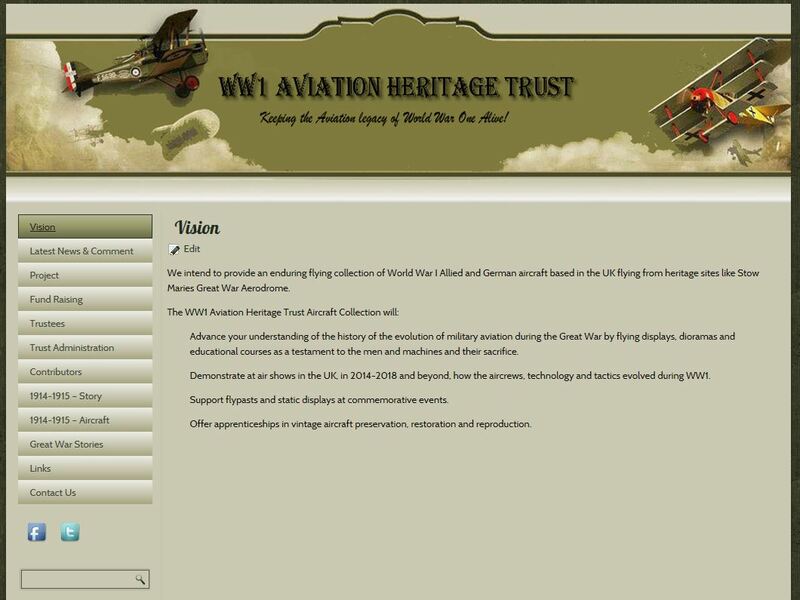 One of our newest customers, the WW1 Aviation Heritage Trust is a special organization with the aim of bringing World War I aircraft to the UK to be shown in static and flying displays. The site utilises the latest WordPress software for the backend, and we’ve also designed the WordPress template and customised the customer provided artwork. The site will be maintained primarily by the customer, and we are assisting in monitoring social media accounts and promoting awareness. We developed a Search Engine Optimisation and Social Media Accounts and the website was recently referenced in a Sunday Times article. The website is hosted on our London servers and we provided mailboxes and email forwarding. 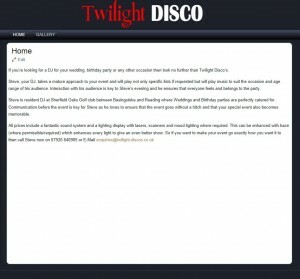 Basingstoke Disco specialists Twilight Discos required clean, dynamic website to promote their activities, we developed a WordPress template and logo, provided website and email hosting and provided the customer will a full handover of the site, allowing them to maintain the content going forward.